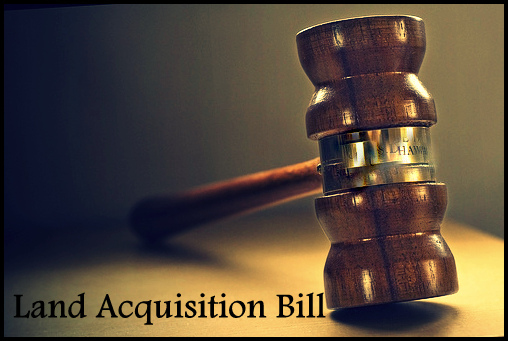 Land Acquisition Bill (Rehabilitation and Resettlement Act, 2013) is a legislation that was recently passed with the main aim of providing just and fair compensation and ensuring transparency to the affected families whose land has been acquired or are affected by any such acquisition in the past few years. Special provisions have been laid down for their rehabilitation and resettlement. With the Land Bill coming into regulation, it’s time for all the developers to tie their belts and get ready for a sharp rise in land prices. This will eventually lead to an increase in the input cost. Especially for developers who are going to depend solely on land acquisition route for their projects; they will encounter a big add on into their cost structure. The increase in project gestation period will make the required returns from the project difficult to achieve. In order to complete the previous projects, lined up projects will have to take a back seat which will certainly serve as a huge loss to the builders. In order to preserve profits, the developers should preferably switch to joint ventures now; in which the profits, resources and the risks can be shared. The developers intend to pass on the increased input cost to the buyers. Now the buyers will have to bear the cost escalation, holding them back from investing in the real estate market. Moreover, the Resettlement & Rehabilitation clause gives no guarantee for jobs, leading people towards an illusionary governmental support. Sooner or later, there will be a major part of the population, sitting idle at home switching news channels; waiting for the government to come up with some new Employment Act. Hence, indirectly it is the end-users who are being affected from the bill, disabling their affordability and delaying in inhabiting a major part of the growing population. According to us, to avoid the decline in investments and shooting land rates, the Land Acquisition Bill should alleviate open market transactions from its control. In order to preserve the interest of migrants and the growing population, the government should sternly look into the hassle it has created for the developers and the buyers especially in the rural areas. As they say there are always two sides of the same coin, similarly the LARR Bill has the developers and buyers on one hand and the farmers and their affected families on the other hand. The Bill should be once again taken into consideration and special provisions should be made; equally favouring both the parties. Feel free to give your valuable comments or suggestions in respect to the LARR Bill. For further details and queries contact us at info.crem@co.in .